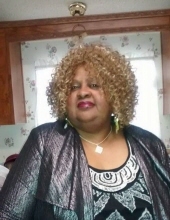 Minister Sylvia Jean Crisp, age 64, of Morganton, went home to be with her Lord and Savior on Saturday, April 13, 2019 at her residence. She was born in Rutherford County on August 6, 1954 to Rev. John R. Cantrell and Evangelist Naomi Logan Cantrell. Minister Sylvia was associate minister at The House of Prayer, where she preached every other Sunday. She was Baptized into Christ at the age of 11 at New Pilgrim Baptist Church in Campobello, SC. A born again Baptist believer, she was licensed to preach and teach the Gospel on July 31, 2011 by her father, late Pastor John R. Cantrell. She received her under-graduate degree from Liberty University, Lynchburg, Va. In Divinity and Religion. Other studies include the books of Prophecy and the Old and New Testament lessons from the Bible School of Morganton. She also worked at Doblin Fabrics for 29 years as Payroll Administrator. Celebration of Life service will be held on Friday April 19, 2019 at 2:00PM in the Evans Funeral Home Chapel with Rev. Larry Carpenter, Rev. Robert Cantrell, Rev. Herbert Carter, Rev. Tommy Carpenter and Pastor Chandler Moore officiating. The family will receive friends from 1-2 PM prior to the service hour. To send flowers or a remembrance gift to the family of Sylvia Jean Crisp, please visit our Tribute Store. Guaranteed delivery before Sylvia's service begins. "Email Address" would like to share the life celebration of Sylvia Jean Crisp. Click on the "link" to go to share a favorite memory or leave a condolence message for the family.